Now-U.S. Sen. Cory Gardner officially announces his candidacy for the U.S. Senate at Denver Lumber Company on Saturday, March 1, 2014, in Denver. Gardner this week made good on a campaign promise to encourage over-the-counter birth control, but pro-choice groups are skeptical. 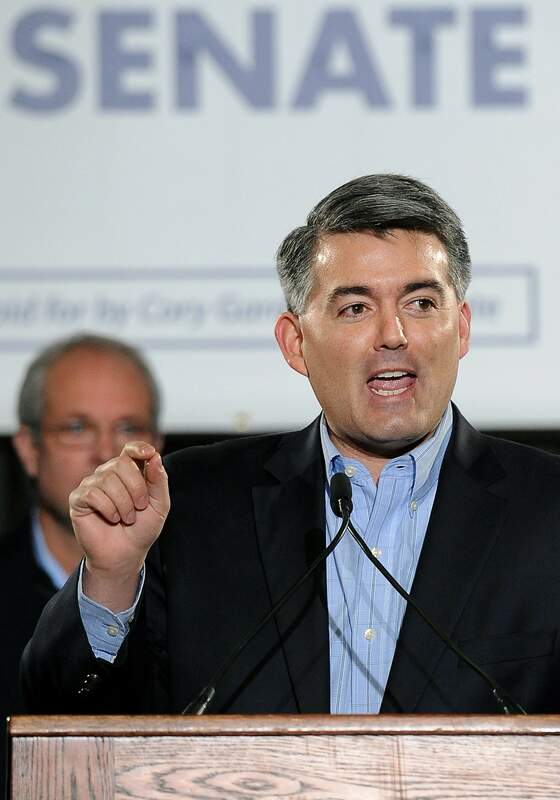 DENVER – Republican U.S. Sen. Cory Gardner this week made good on a campaign promise to introduce legislation that would encourage the sale of birth control over the counter. But groups from the pro-choice world are skeptical, suggesting the move stemmed from a campaign ploy after Gardner was criticized for supporting federal “personhood,” or assigning constitutional rights to the unborn. The legislation aims to encourage manufacturers of certain contraceptives, such as “the pill,” to apply for over-the-counter classification with the Food and Drug Administration by allowing a priority review and waiving filing fees. It also would repeal a provision of the Affordable Care Act that restricts the use of health, medical and flexible-savings accounts to purchase over-the-counter drugs without a prescription. The Yuma Republican touted the plan on the campaign trail last year when he faced off against then-incumbent Mark Udall, a Democrat. The move came as Gardner was criticized for supporting federal personhood legislation, which many feared would ban common forms of birth control. Gardner said at the time that he did not support a nearly identical ballot initiative in Colorado that would have created personhood, yet he remained a sponsor of the federal proposal. Pro-choice groups worry that Gardner’s proposal would actually take away coverage for birth control, pointing to the provision that would repeal a portion of the Affordable Care Act. The section of the ACA requires insurance plans to cover all FDA approved methods of contraception at no additional cost. Several forms of birth control are now offered free to women as part of their insurance plans under the ACA. Planned Parenthood Votes Colorado called the proposal an “insult to women,” highlighting that birth control is currently free to many.